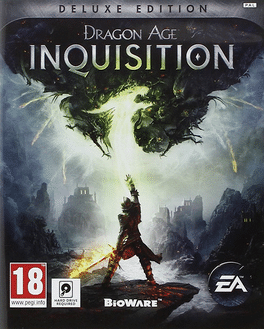 Dragon Age: Inquisition Deluxe Edition is the premium edition of Dragon Age: Inquisition. It is available on PC, Xbox One, Xbox 360, PS4 and PS3 for North America, and was released on November 18, 2014; it was released on November 21, 2014 in Europe however, the PC version of this edition is unavailable in Europe. A digital version of this edition is available for all platforms.